The Insurance Information Institute estimates only 40 percent of people who lease apartments or houses have renter’s insurance. They need that money to buy food and pay the bills. 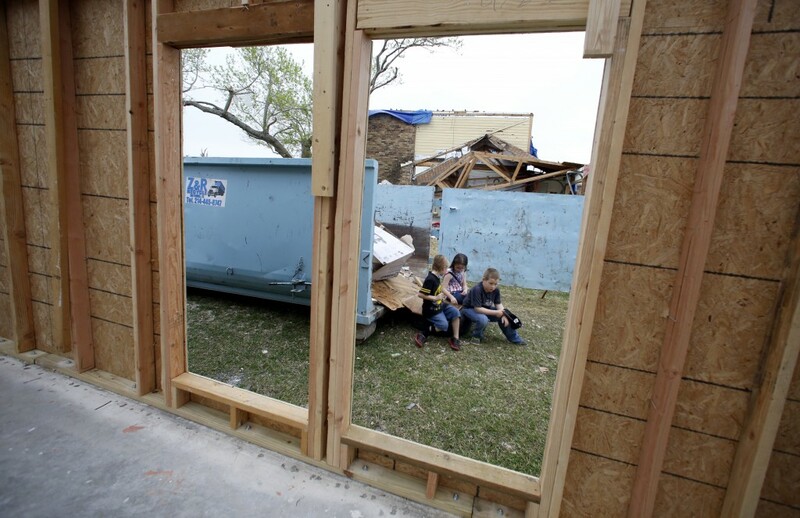 One Garland family is living with the fallout after a tornado ripped its house apart and smashed its truck. 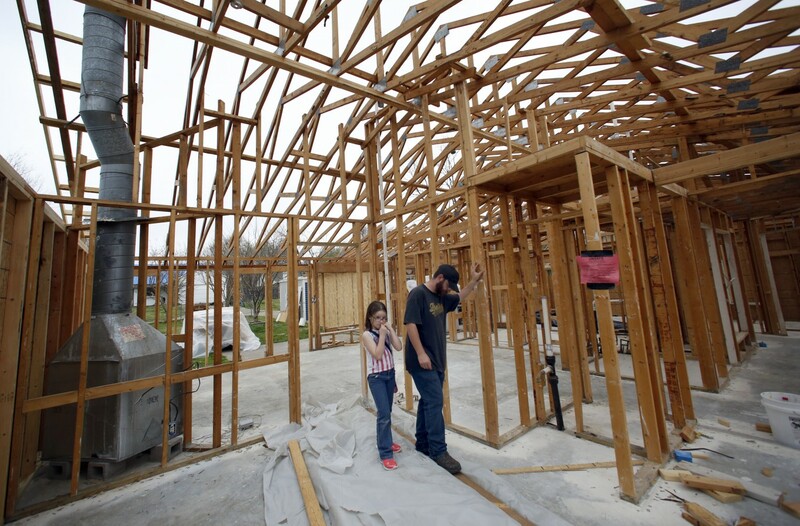 While the landlord pays to rebuild the home, the family pays to fix the rest. A soundtrack of nail guns, hammers and electric saws punctuates an otherwise quiet day on Oceanport Drive in Garland. Contractor Charles Beck is working hard to put a storm-wrecked house back together. He’s particularly invested because he used to live here. 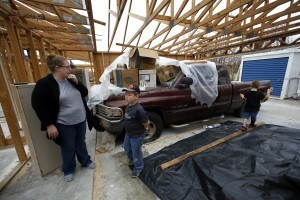 Before the tornado, he was renting it with his fiancée and their three kids. “Luckily, we got the contract to do the repairs on our home, so that helped put me back to work,” Beck said. Repairing his own home is Beck’s first contracting job since his work truck full of tools was crushed during the Dec. 26 tornado. He said he had general liability insurance on the truck, so the damages were not covered. 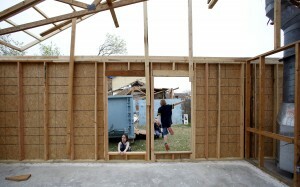 The many tools he lost to the storm totaled about $10,000, he said. 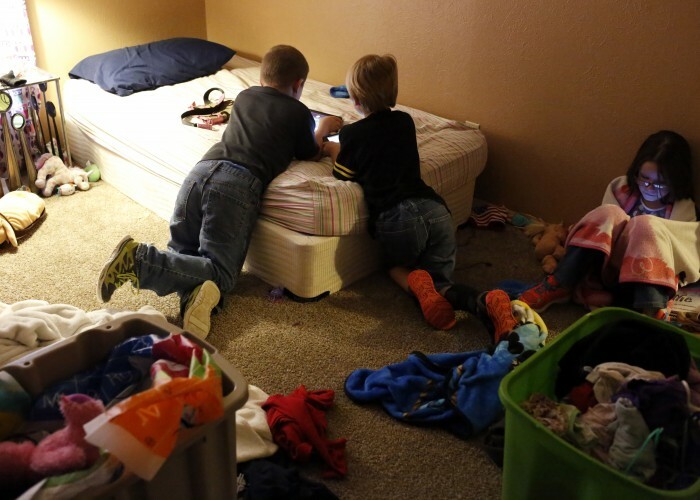 Financial stability is something this family desperately needs right now. They didn’t have renter’s insurance, either. They have to replace everything they lost from the storm out of pocket. 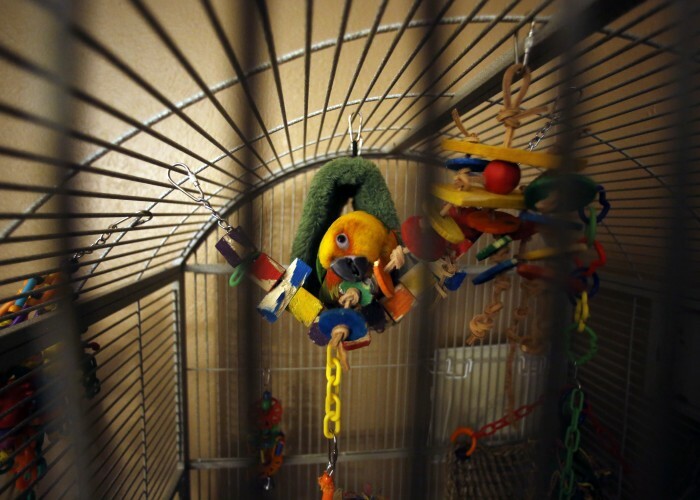 Why are Beck and his family among the 60 percent of renters who don’t have insurance? Why didn’t they carry full coverage on the truck? Beck and his fiancée Jessica Cadick spent last fall calling insurance companies to get renter’s insurance quotes, but they decided to put off buying a policy until the first of the year. Beck has two children: a 6-year-old son and an 8-year-old daughter. Cadick’s son is 9. They’re living in a temporary rental house while the old one is under construction. Leasing it costs $200 a month more than their other place. That stretches their already tight budget even tighter. Plus, they’re homesick. 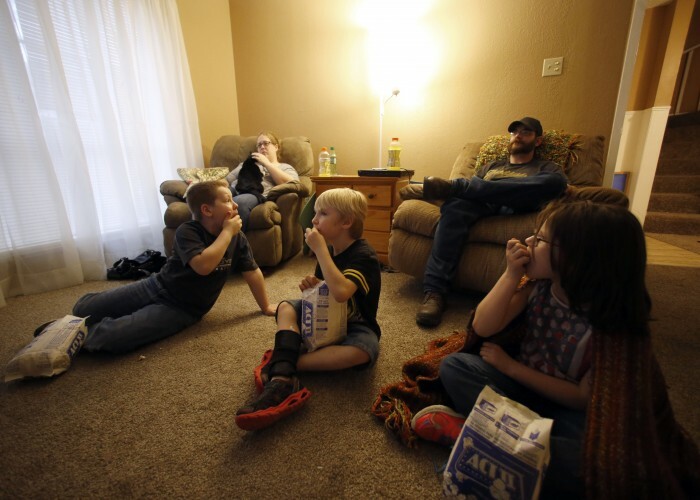 “The kids will come downstairs out of the blue and say, ‘I want to go home,’ when we’re sitting in our new rental,” Cadick said. Cadick said the financial stress of surviving a tornado, losing a home, truck and most of their possessions has been devastating. And the road to recovery is pretty lonely. One place that hasn’t forgotten? Friendship House, which is sponsored by First Baptist Church of Garland. “After Dec. 26, our volume definitely went up,” director Keith Christie said. Christie said the nonprofit helps with food, clothing, holiday gifts and energy bills. 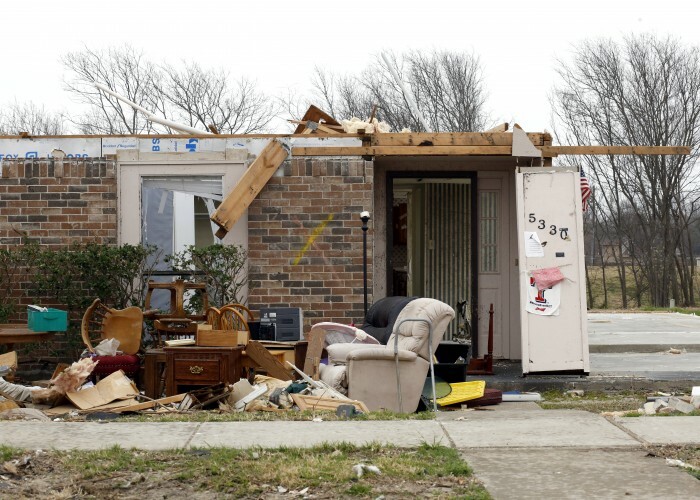 After the Christmas weekend tornadoes, the group also helped with rent deposits. 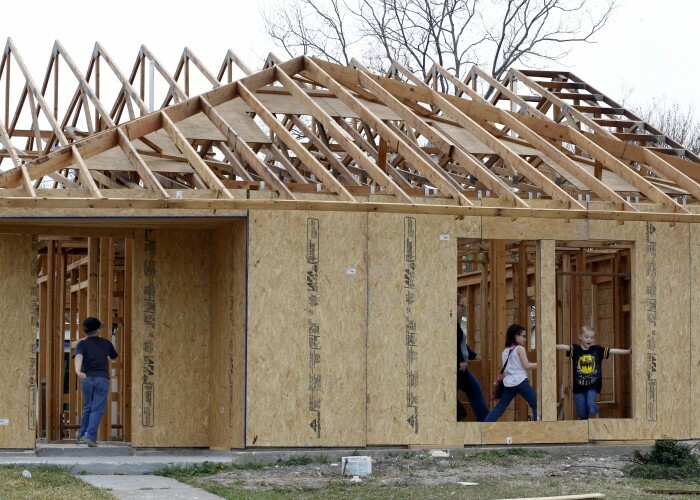 Friendship House has spent almost $60,000 to help more than 220 storm victims so far. For people already worried about money, rebuilding after a tornado is almost too much to bear, Christie said. Many folks skip things like insurance to free up money each month. Back at the rebuilding site, Jessica Cadick is impressed by the progress. She hopes her family is back where they belong before summer because she and Beck plan to tie the knot in July. After the storm, people like her wedding photographer happily obliged. “I called to cancel our contract afterwards because we didn’t have the money any longer to pay for a wedding,” Cadick said. But the photographer offered to take pictures for free and found a wedding planner to pick up almost all of the rest. The wedding serves as a bright spot in the not-so-distant future, even though reminders of the storm are everywhere. All this family has to do is pull up a bank statement or glance at the tallest tree in their old front yard. It’s funny, Cadick said, how a piece of fabric, tangled in the branches of an old tree has come to stand for so much.